Angela Goode works on a farm near Naracoorte, South Australia, where cattle graze and bush stone curlews call. She has spent her writing life bringing the images and issues of rural Australia to a wider audience in books, newspaper columns, and on radio. From 1981 to 2008 she wrote a country column for the Advertiser in Adelaide. The many editions of Great Working Dog Stories and Great Working Horse Stories, alongside For Love of the Land, celebrate working lives beyond the cities - where animals and humans are expected to pull their weight. 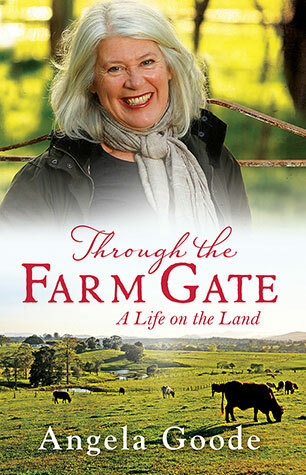 In 2008 she was inducted by Rural Media South Australia as a Rural Media Icon. Angela spent many years in the saddle-mustering buffalo, trail riding on bullock tracks, hunting, jumping logs, and sometimes falling off. Her horses know little about hard work these days. Told with wit and honesty this is a heartwarming memoir that reveals the pain, the joys, the fears, dedication and complexity of life on the land.